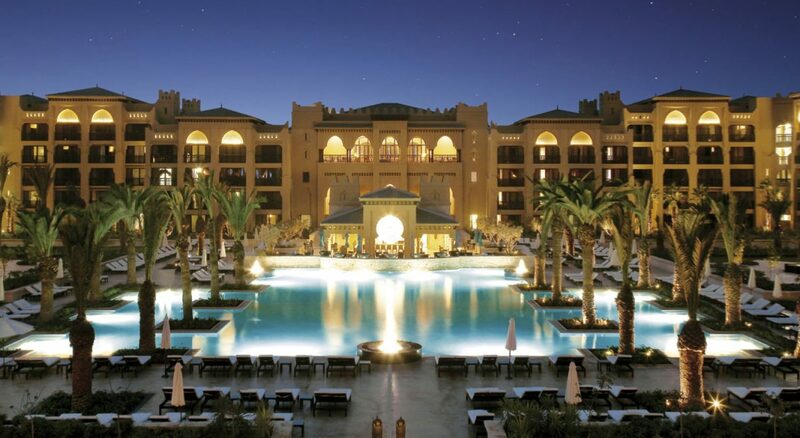 Mazagan Beach & Golf Resort is a five-star hotel located in El Jadida. 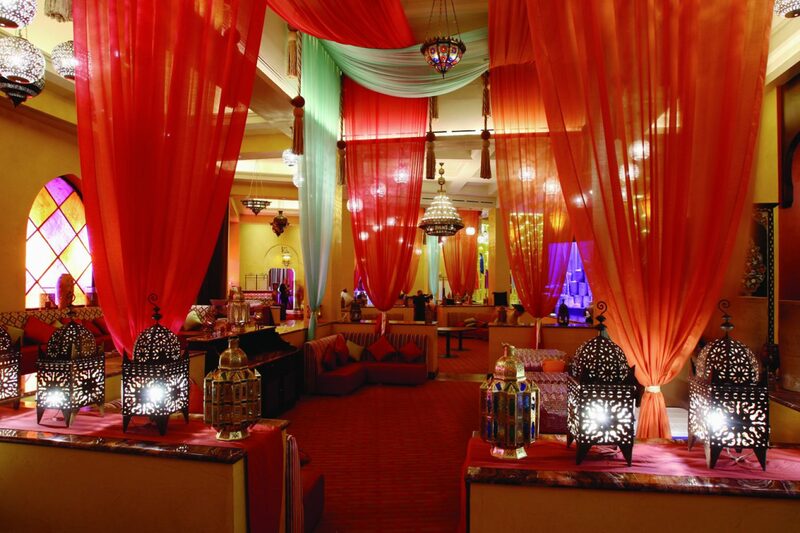 It is home to a wide range of rooms and suites where you can enjoy an unforgettable holiday in Morocco. 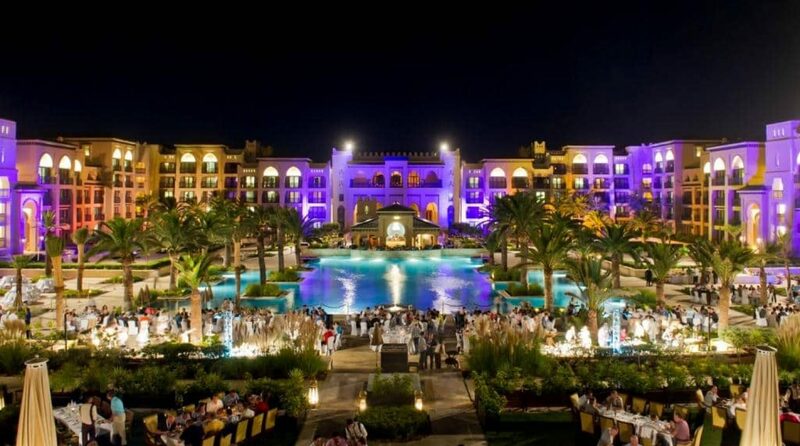 Mazagan offers also an array of activities and entertainment: a world-class Spa, a Gary Player designed 18-hole golf course, Morocco’s largest Casino, conference rooms, a variety of restaurants serving cuisines from all over the world and endless activities to enhance your stay. The resort is set in 250 hectares of land next to a long sandy beach and blends into the landscape. This award-winning hotel has 490 rooms and suites that overlook the sea, golf course and swimming pool and is set in the tranquil sand dunes with stunning ocean views. Other facilities include a beauty salon, kids’ club, bar and disco. The furniture is traditionally Moroccan and the Moorish style can also be found in the elegant bathrooms which feature a bath, shower. Satellite TV, Wi-Fi, a safe, minibar and air conditioning are also included. Each room additionally features a double or king-size bed. 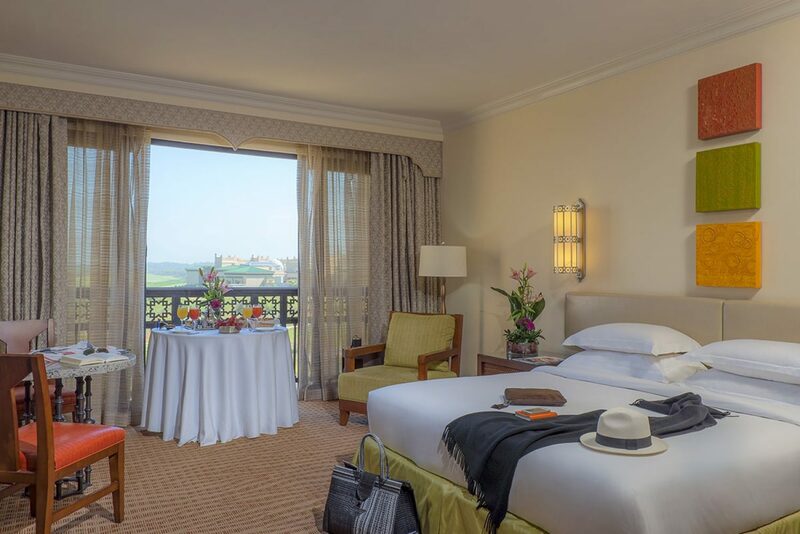 The centre of El Jadida is a short distance away and the city of Casablanca and its international airport are around an hour away. 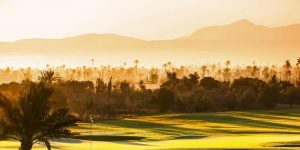 A perfect place for some relaxation in the sun and plenty of pleasant golf. El Jadida is located on the Atlantic coast, 70 miles to the west of Casablanca and 120 miles north of Marrakech. It is a popular holiday resort during the summer months with both Moroccans and Europeans heading to the historic coastal town and beaches for a break. 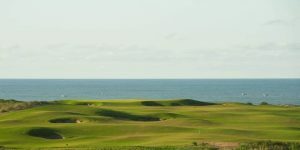 Outside of this period the region is quieter, yet still warm throughout the year and ideal for visiting golfers. 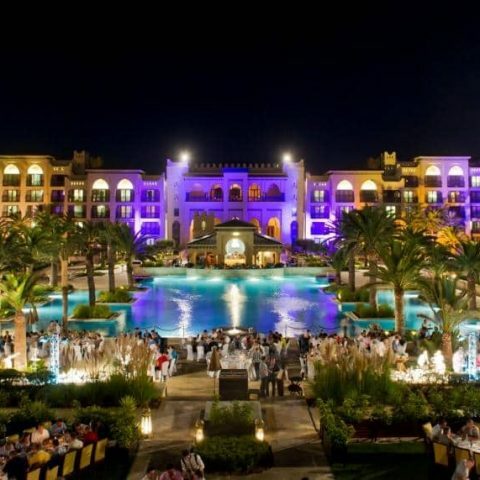 There are two main resorts in the area, the award-winning Mazagan Beach Resort, a luxury five-star hotel, spa, casino and golf complex located to the north of town and the Pullman Mazagan Royal Golf & Spa hotel which, as the name suggests also has a golf course which runs along the beach. Both are close together and accessible by transfer from Casablanca Airport. 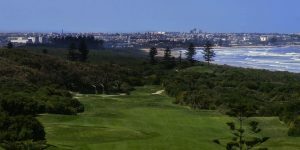 El Jadida is ideal either for a relaxing holiday with some golf on-site or for a twin-centre holiday combing time in the bustling cities of either Casablanca or Marrakech with some relaxing time by the coast. 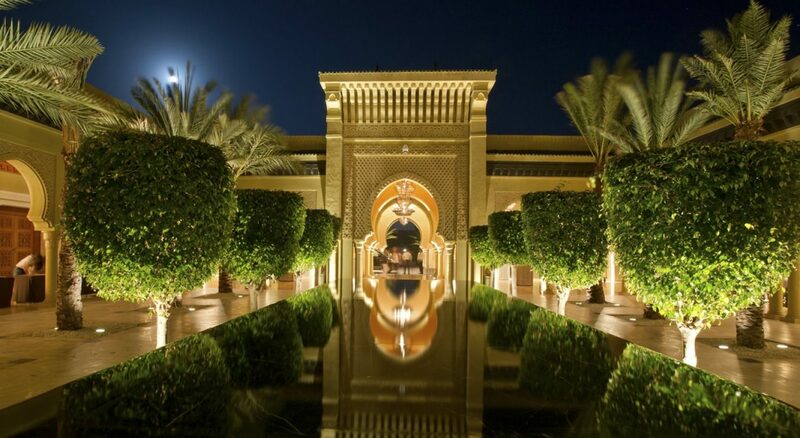 This beautiful hotel is a genuine oasis, featuring luxurious facilities, elegant surroundings and a superb golf course.